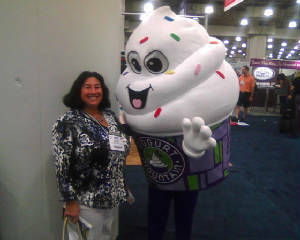 Thursday, June 20 at 10 AM EST - This weekend is the annual International Franchise Expo in New York City. Many refer to this event as the Super Bowl of franchising. Today you will hear our interview with the founder of FranchiseWorks.com Terry Corkery who gives his advice to aspiring entrepreneurs looking to buy a franchise as well as some fantastic tips on attending franchise shows. Click the link below to listen to the show.